The Wallet Ninja Pro 26-in-1 is the first 100% flat credit card multi-tool. It is the same size as a credit card so it can easily slip into a wallet or pocket. 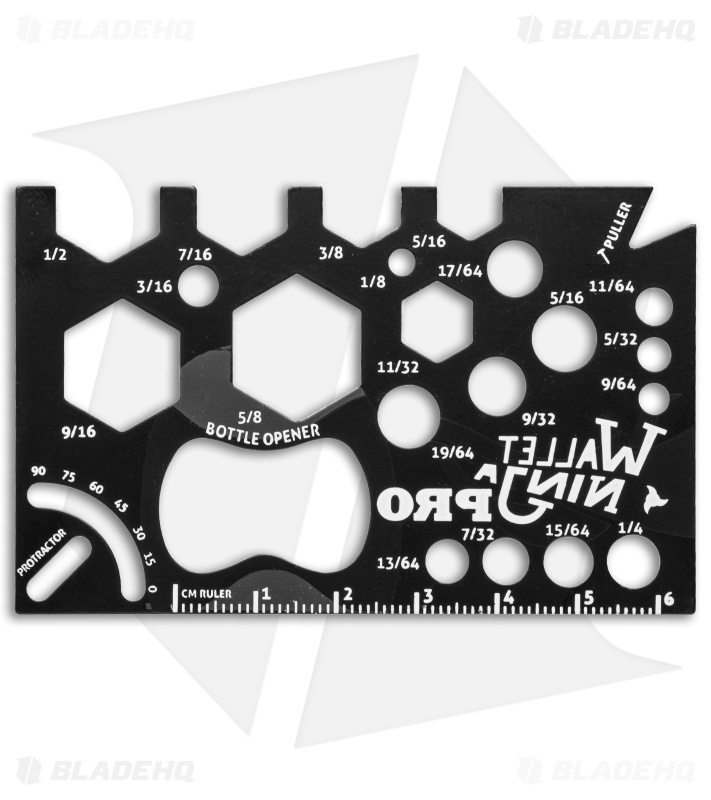 The body is made from durable heat treated steel, and comes with a lifetime guarantee to never rust, bend or dull. 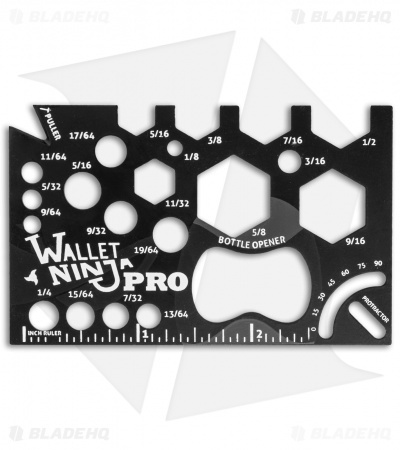 The Wallet Ninja Pro 26-in-1 offers 26 essential tools in the convenient size of a credit card.